BOHOL, PHILIPPINES - December 28, 2011: Before checking into the hotel on Panglao Island in Bohol, Philippines, I ran out to the beach to compose my photo. The weather was just as calm as the still water. 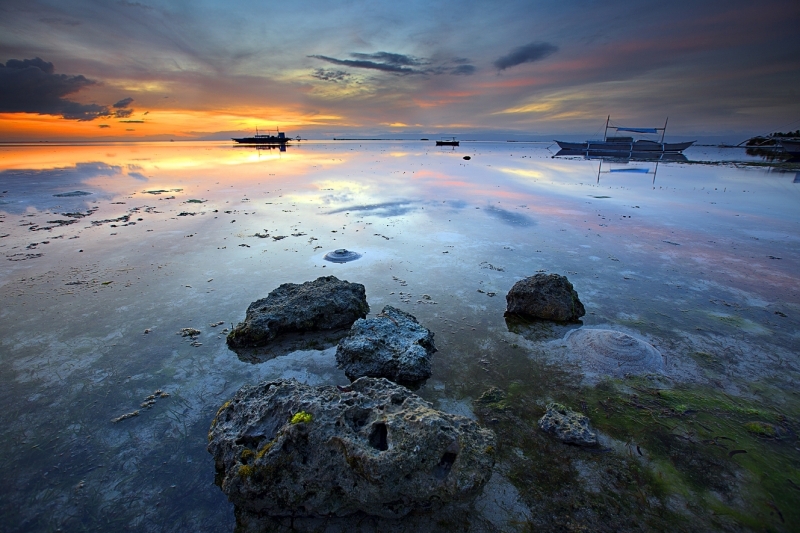 As the sun slowly set, I captured a colorful evening during low tide.